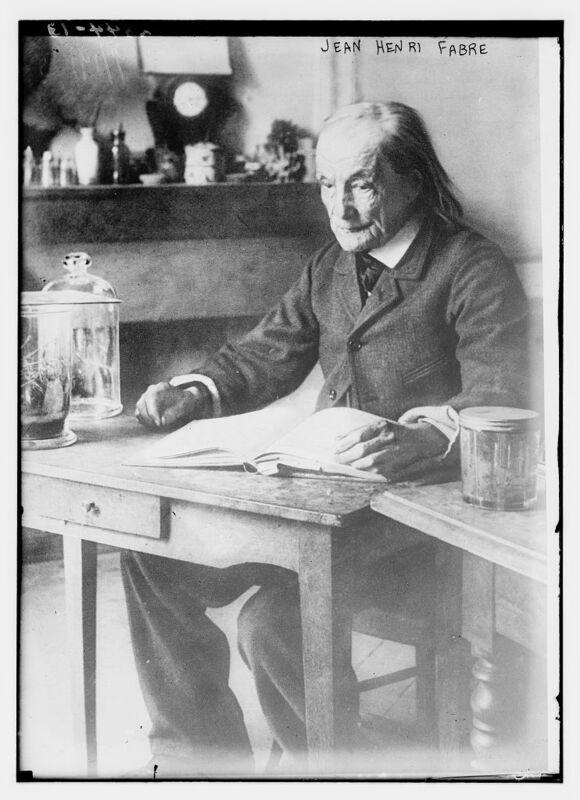 Jean Henri Fabre (born 22nd December 1823; died 11th October 1915), the renowned French entomologist, teacher, physicist, chemist and botanist. Born into poverty, in Saint-Léons in Aveyron, France, Fabre’s love of insects and his informal, interesting way of teaching led him into being most popular with his students. 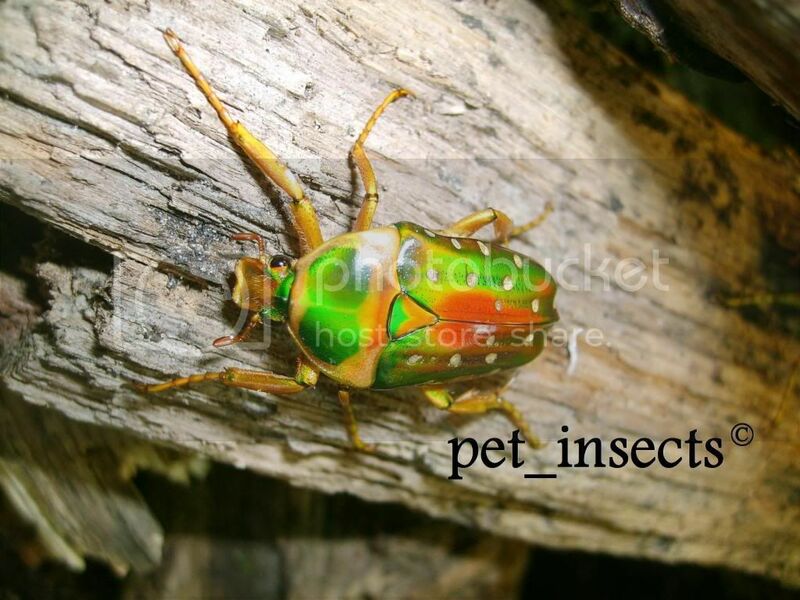 His forte was observation work, and he would watch wild beetles and other insects in their natural habitat, or in glass ‘set-ups’ in his laboratory at home, for hours and sometimes days. Today you’re able to view his insect collection, at the museum: Musée Requien Avignon, which was his former home. 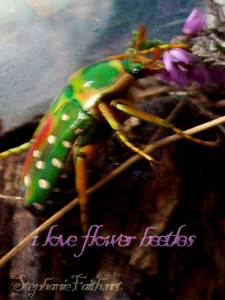 Insect Adventures. Dodd, Mead, 1917. Selections from Alexander Teixeira de Mattos’ translation of Fabre’s Souvenirs entomologiques, retold for young people. 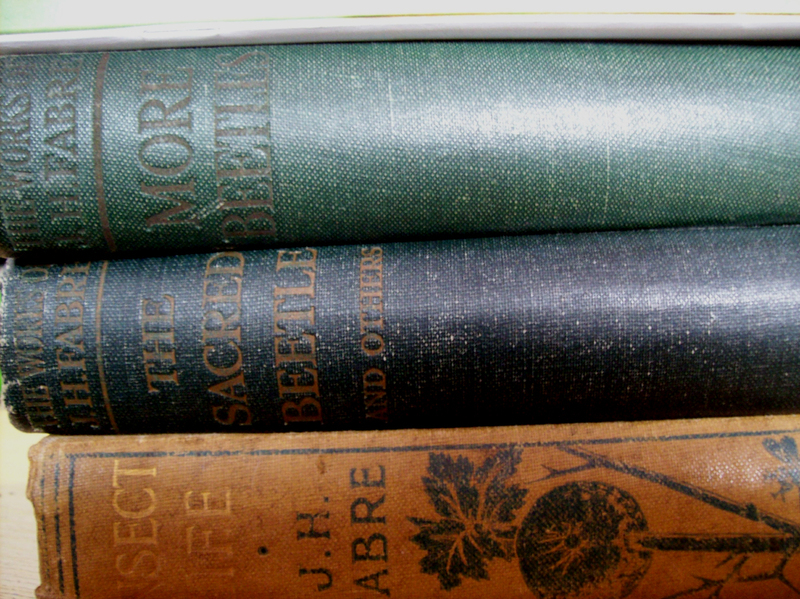 Thank you to Wikipedia for this book list (click on this link *HERE* to view scanned versions). Augustin Fabre, The Life of Jean Henri Fabre. Dodd, Mead, 1921. 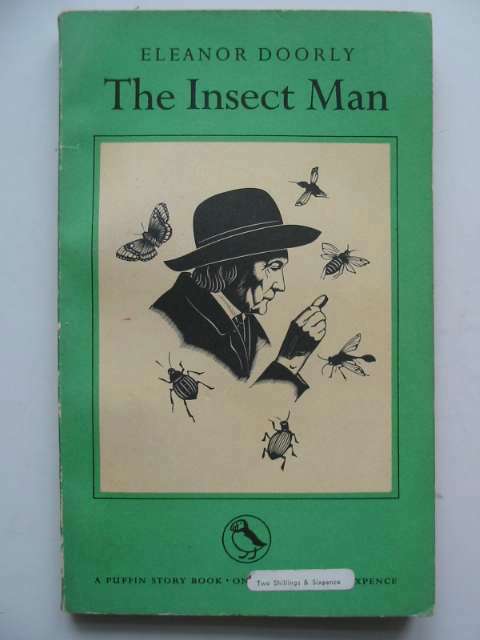 THE INSECT MAN by ELEANOR DOORLY, a study of Fabre and his work with woodcuts by Robert Gibbings; Puffin paperback; year: 1949; 169 pages.